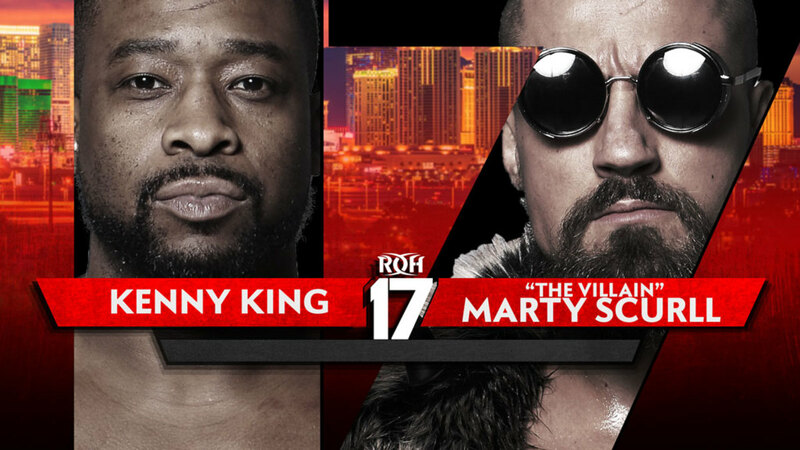 ROH announced today that Marty Scurll will face Kenny King at the Anniversary show. The match was set up when King challenged Scurll at ROH's television tapings in Lakeland, Florida on February 9. King defeated Scurll, Willie Mack, and Silas Young in a four corner survival match at Bound By Honor in Miami earlier this month. King low blowed Scurll and pinned him while holding onto his tights. Scurll had the chicken wing locked in on Silas Young right before the finish, but King was trying to bring a chair into the ring and the referee didn't see Young tapping out. Scurll has a future ROH World Championship shot as a stipulation of winning last year's Survival of the Fittest tournament, while King's storyline since losing to Jay Lethal at Global Wars: Toronto in November has been arguing that he deserves a title shot due to pinning Lethal. King had his feet on the ropes for leverage, the referee waved off the finish and had the match continue, and Lethal retained the World title.